ESTA MAÑANA APRENDIMOS QUE EL ALTAR REPRESENTA LA COMUNION Y LA PRESENCIA DE DIOS EN MEDIO SU PUEBLO. Y CADA UNO DE NOSOTROS TENEMOS UN ALTAR EN NUESTRO CORAZON PUES TENEMOS LA PRESENCIA DE DIOS Y CADA UNO DE NOSOTROS DEBE DE OCUPARSE DE MANTENER EL FUEGO DE LA COMUNION CON DIOS ENCENDIDO EN NUESTRA VIDA. ESTA MAÑANA APRENDIMOS QUE REPRESENTAN EN NUESTRA VIDA LAS PRIMERAS 6 PIEDRAS CON LAS CUALES DEBEMOS RE EDIFICAR NUESTRO ALTAR PARA EL SEÑOR. ESTA TARDE APRENDEREMOS CUALES SON LAS SEIS PIEDRAS RESTANTES QUE TENEMOS QUE UTILIZAR PARA RE EDIFICAR NUESTRO ALTAR PERSONAL CON DIOS. 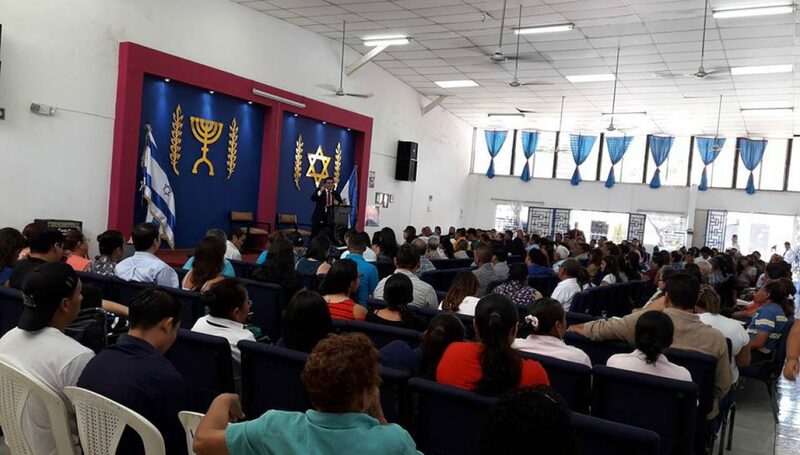 LA ASISTENCIA A LA IGLESIA ES DETERMINANTE PARA ENCENDER O APAGAR LA LLAMA DEL ESPIRITU EN NUESTRA VIDA. TENEMOS QUE TENER ALGO BIEN CLARO EN NUESTRO CORAZON: SERVIR A DIOS ES TENER EL DESEO DE AGRADARLO, DE ALEGRARLO. EL VERSICULO 17 NOS DICE DOS COSAS MUY IMPORTANTES QUE NOS DEMUESTRAN EL VALOR DE NUESTRO SERVICIO A DIOS: SEREMOS ESPECIAL TESORO Y TENDRA MISERICORDIA DE NOSOTROS. EL VS 18 NOS ENSEÑA QUE HAY DIFERENCIA ENTRE EL HIJO QUE LE SIRVE Y EL QUE NO LE SIRVE. ¿Qué ESPERAMOS PARA SERVIR? LA PALABRA MAYORDOMIA VIENE DE LA PALABRA OIKONOMOS QUE SIGNIFICA ADMINISTRADOR, ES DECIR QUE LA MAYORDOMIA EN NUESTRA SIGNIFICA LA MANERA COMO ADMINISTRAMOS NUESTRAS FINANZAS PERSONALES Y FAMILIARES. UN CRISTIANO QUE PRACTICA BIEN LA MAYORDOMIA SABE QUE TIEN QUE APARTAR LO QUE ES DE DIOS, SABE QUE TIENE QUE DIEZMAR Y OFRENDAR CON CONSTANCIA Y CON FIDELIDAD. MIS OFRENDAS Y MIS DIEZMOS SON DE MUCHO VALOR DELANTE DEL SEÑOR (VS 7) EL AMA AL DADOR ALEGRE. NO DICE QUE AMA AL QUE TIENE LA INTENCION DE DAR, NI QUE AMA AL CRISTIANO ALEGRE, EL AMA AL DADOR Y ESO TENEMOS QUE COMPRENDERLO MUY BIEN. TODOS REPETIMOS LO QUE OIMOS: LA BIBLIA ES EL MAPA DE NUESTRA VIDA PERO ¿LO CONSULTAMOS CON CONSTANCIA?? COMO PUEDO TENER COMUNION CON DIOS SI NO PERMITO QUE EL ME HABLE A MI VIDA?? CADA UNO DE NOSOTROS DEBE DE HABLAR CON DIOS POR MEDIO DE LA ORACION, PERO TAMBIEN CADA UNO DE NOSOTROS DEBEMOS DEJAR QUE EL SEÑOR NOS HABLE POR MEDIO DE SU PALABRA A NUESTRA VIDA. EN EL VERSICULO QUE LEIMOS NOS DICE QUE DEBEMOS MEDITAR EN SU PALABRA TODOS LOS DIAS (DE DIA Y DE NOCHE) NO DE VEZ EN CUANDO, NO CUANDO NOS ACORDAMOS, NO CUANDO TENEMOS ANIMOS, SINO TODOS LOS DIAS, CONSTANTEMENTE. CADA CUANTO LEES TU BIBLIA?? CUANTOS DE NOSOTROS VENIMOS AL ALTAR DE NUESTRA COMUNION CON DIOS PENSANDO QUE AGRADAMOS A DIOS PORQUE NO TENEMOS ENOJOS NI RESENTIMIENTOS CON NADIE, PERO SE NOS OLVIDAN LAS PERSONAS QUE HEMOS DAÑADO, LAS PERSONAS QUE HEMOS OFENDIDO. EN VERSICULO NO DICE QUE NOS ACORDEMOS SI TENEMOS ALGO CONTRA NUESTRO HERMANO SINO QUE NOS ACORDEMOS SI HAY ALGUN HERMANO QUE TIENE ALGO CONTRA NOSOTROS, ES DECIR QUE ESTA MOLESTO, RESENTIDO, DAÑADO POR NOSOTROS. PARA RECONSTRUIR MI ALTAR YO DEBO DE BUSCAR LA RECONCILIACION CON AQUELLOS QUE HE OFENDIDO, PUES SI NO LO QUIERO HACER NO PUEDO TENER UNA BUENA COMUNION CON EL SEÑOR. NUESTRO ALTAR SIMBOLIZA LA PRESENCIA DE DIOS EN NUESTRA VIDA, SIMBOLIZA LA COMUNION QUE TENEMOS CON NUESTRO DIOS Y NUESTRO SEÑOR. PERO TENEMOS QUE ENTENDER QUE ESA PRESENCIA Y ESA COMUNION SE DEBEN DE MANIFESTAR EN BUENAS OBRAS. NO ES POSIBLE QUE UN CRISTIANO AFIRME TENER COMUNION CON DIOS Y HACER OBRAS DIGNAS DE UN IMPIO, NO ES POSIBLE QUE OBRE MALDAD. CADA UNO DE NOSOTROS TENEMOS QUE DEMOSTRAR NUESTRA COMUNION CON DIOS Y LA PRESENCIA DE DIOS EN NUESTRA VIDA POR MEDIO DE NUESTRAS BUENAS OBRAS, POR MEDIO DE NUESTRA BONDAD PARA CON NUESTRO PROJIMO, POR MEDIO DE NUESTRA BONDAD PARA CON LAS PERSONAS QUE NOS RODEAN. SI USAMOS ESTAS 12 PIEDRAS QUE ESTE DIA HEMOS APRENDIDO PODREMOS TENER UN CRISTIANISMO SOLIDO Y FRUCTIFERO Y UNA BUENA COMUNION CON NUESTRO SEÑOR!! Publicado el julio 17, 2013 por Pastor Oscar FloresPublicado en UncategorizedEtiquetado 12 PIEDRAS DE NUESTRO ALTAR, PASTOROSCARFLORES RE EDIFICANDO ALTAR, RE EDIFICANDO NUESTRO ALTAR, RE EDIFICANDO NUESTRO ALTAR SEGUNDA PARTE.